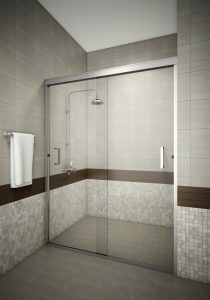 SR Windows & Glass is celebrating the New Year by offering 10% any of our custom glass shower and tub enclosure packages. Book a measurement before January 31, 2018 and we’ll take 10% off the quoted price. We offer a full range of glass and hardware options to meet any design and budget requirements. View our online glass shower enclosure showroom to see our most popular shower and tub enclosure packages. SR Windows & Glass works with contractors, remodeling companies and interior designs to make your dream bathroom a reality. We only use the highest quality glass and hardware for our shower enclosures to ensure longevity and functionality.